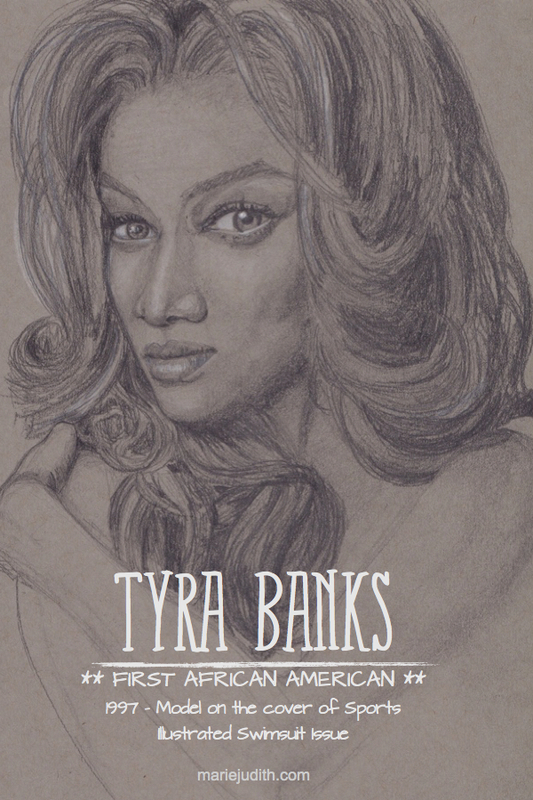 Tyra Banks first started as a model at the age of 15 while she was still in school. After being rejected by 5 model agencies, she signed with Elite Model Management. She appeared in several fashion shows, magazine covers and advertising campaigns for big names in the industry while she was in Europe. In 1997, back in the US, she broke a couple barriers in the American fashion world and was the first African American model to grace the covers of Sports Illustrated Swimsuit, GQ and the Victoria Secret Catalog, expanding the definition of beauty in North America. Tyra is not just a model. She's quite the business woman. On top of a successful career as a model and actress, she started to work behind the scene. She founded her own production company which produced the Tyra Banks Show and America's Next Top Model (currently on its 21st season). She recently attended Harvard Business School and completed a business degree before starting her new line of makeup called Tyra. She's a great example for younger generations regarding the possibilities for young girls to not just rely on their beauty to be successful, but to also use their creativity and passion to do great things.